Shenzhen is one of the biggest cities in China and choosing where to stay can be extremely difficult. This guide is a selection of some of best hotels in Shenzhen, whatever your budget may be. If your looking for general recommendations on booking hotels in China you can click here to read our guide. 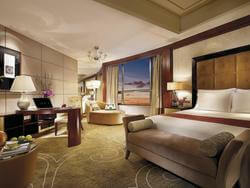 The Sheraton Shenzhen Futian Hotel is an imposing building and the staff aims to keep its guests impressed once inside. There is easy access to the metro and English and Korean speaking staff will happily arrange tours and transfers to the airport 30 minutes away. There is plenty of variety; restaurants, bars and lounges with free Wi-Fi in public areas. A golf course is within 3kms but internally there are indoor and outdoor pools, a games room, tennis, billiards, karaoke, a fitness center and spa. Kids are well catered for with their own pool. Businessmen have meeting room services and a business center. However it fairly expensive and some of the details need more attention. 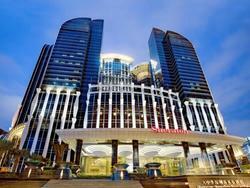 The Marco Polo Shenzhen Hotel is located in Fuhua 1st Road in the center of the city. Businessmen will find a center and meeting facilities and the main commercial district is nearby. There is plenty of choice on cuisine in three restaurants, coffee shop, bars, lounge and nightclub. There is fee Wi-Fi throughout the hotel, 24 hour service and English speaking staff who will arrange tours and transfers. After a busy day, tourists and businessmen can relax in a hot tub, sauna or spa. There is a fitness center and outdoor pool. The Hotel is not cheap but its location and cleanliness are definite positives. The Shangri-La Hotel Shenzhen is downtown with excellent transport connections. Hong Kong is a 5 minute walk away. There is 24 hour service and an English speaking front desk for services, tours and transfers. Wi-Fi is free throughout the hotel which has bar, coffee shop and restaurant facilities with local and international cuisine. 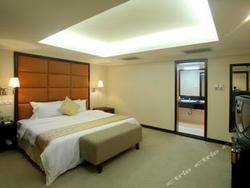 Businessmen are well catered for with a center, meeting and large function rooms. There is an outdoor pool with a bar, a kids’ pool and garden. The fitness center, spa, sauna and massage are additional recreational facilities. Perhaps the Hotel is in need for a little renovation but it has few equals when it comes to location. The Venice Hotel Shenzhen is located in Nanshan Chinese Overseas Town, close to all the action in the City and attractions including the He Xiangning Art Museum, Happy Valley and the Splendid China Amusement Park. With 375 guest rooms all with Wi-Fi, the hotel has bar, coffee shop, restaurant and casino. English is spoken and 24 hour service and front desk includes arranging tours and transfers. Kids have their own pool and there are two others, indoor and outdoor. Fitness center, sauna, spa and garden are other recreational facilities. The hotel is fairly expensive so some service standards would be expected to be a little better. The Shenzhen Baolilai International Hotel is situated in Bao’an District 45.Km from the city center though transport connections are good. On site facilities compensate for the distance from the City’s major attractions. Table tennis, billiards and tennis satisfy competitive instincts. There is an indoor pool, spa, massage steam room and karaoke for budding entertainers. There is free Wi-Fi throughout and English speaking staff will help with tours. There are bars, coffee shop and restaurant, nightclub and casino facilities. Businessmen will be happy with a center and meeting facilities. The front desk is open 24 hours and the hotel has its own shops. Location is an issue for tourists but perhaps the opposite is the case for businessmen; fly in, meet and fly out. The Shanghai Hotel is in Huaqiangbei Street in the Shenzhen business district close to Central Park and SEC Electronics Plaza. It has 163 rooms in different layouts and styles, all modern. All rooms have Wi-Fi and LCD satellite television. Businessmen commonly use the hotel and they are well served with a business center, meeting facilities including rooms large enough for conferences. There is a range of cuisine in the restaurant, English is spoken there is 24 hour room service. 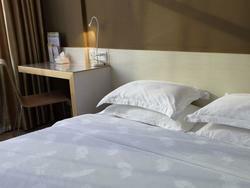 Disabled guests are welcome in a hotel that has shops and a laundry service. Location and transport connections are a real positive while the food does not get universal approval. 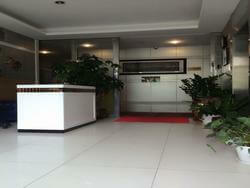 The Colour Inn Shenzhen (Dongmen Branch) is right in the city center with the airport 35 minutes distant. It is not the easiest place to find first time around however. Despite its central location the hotel is in a nice environment which includes People’s Park. There are plenty of shops and restaurants nearby. Every room has free Wi-Fi which is also in public areas. Guests can expect 24 hour room service, a 24 hour front desk and English language. There is a laundry service and guests can also store their luggage. Smoking is permitted in a specific area. 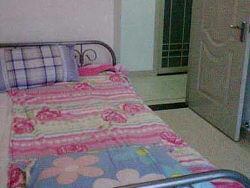 This is accommodation at a price which will suit travelers whose money is tight. The Shenzhen Airport Hotel has a free shuttle bus service for guests wishing to stay near to the airport, yet it is not perhaps as close as some guests would like. Those wishing to visit the city center will find it around 20 kms away. The hotel has a 24-hour front desk with English spoken. 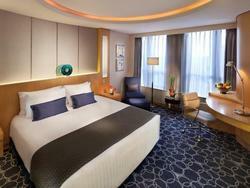 Additional facilities include 24-hour room service, luggage storage and free Wi-Fi in public areas. This is a bar, coffee shop and restaurant and English speaking staff will arrange tours on request. Businessmen have use of a center and meeting rooms are available. A designated smoking area has been set aside. 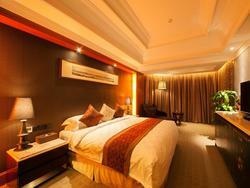 The Shenzhen Oneway Hotel is near the city center. It will usually take about 40 minutes to get to and from the airport. There is free Wi-Fi in every room as well as public areas. English is spoken though it is limited. There are 24 hour front desk and room service while guests can store their luggage. 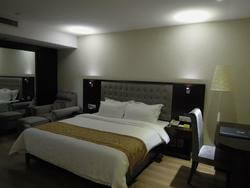 Businessmen have use of a dedicated facility while there is a family room facility for leisure travelers. The hotel has a coffee shop as well as shops on site. Staff will arrange tours on request and smokers will find a designated area. Despite the low prices, the level of hygiene in the hotel is sometimes questioned and its location is not really compensation. The Shenzhen Old Street Youth Hostel sits in a 500 year old street in the middle of the city. It is particularly good for tourists wanting to see the major attractions. It is very much accommodation at a price, clean and inexpensive; 39 rooms of differing types including doubles with en suite as well as a restaurant and bar/lounge. Guests enter reception by going through a tea shop to be welcomed at reception; guests arriving late in the day must know about the means of entry. Staff has developed a reputation for friendliness and helpfulness on any subject including tours. English is spoken. Transport connections are good. 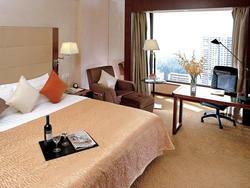 The Sunway Airport Hotel is an ideal location for businessmen with the airport and ferry to Hong Kong close nearby. There is a business center and meeting rooms with Wi-Fi free in all rooms and public areas. The bar and restaurant serving Eastern and Western cuisine augment the facilities of shops and fitness center. The front desk is open 24 hours with English spoken to help with any queries, tours and transfers. Families are welcome and golfers have a course just 3 kms away. The change in airport terminal means that the hotel is now 10 kms away. It could do with some upgrading. I just stayed for 10 days at the Hyatt Place Dongmen Shenzhen, it was a great stay, the hotel is perfectly located, well presented and offered a mid level price. I would find it hard to find a problem with this hotel. The Metro (Laojie) station is at the door as is a vast range of shops, services, parks and food outlets. For an introduction to the “real” modern and safe China you would be hard pressed to find a better location. The staff were helpful and the included breakfast satisfied both western and Asian tastes. Thanks for the list of best hotels in china. I am visiting china next week these article help me a lot now. Find an Hotel in China!